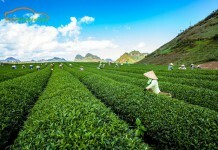 Da Lat is one of the most popular tourist destinations in Vietnam. 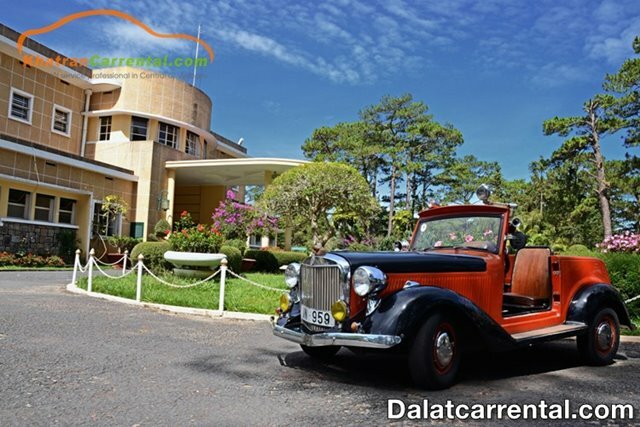 If you want to travel to Da Lat is perfect, you need to thoroughly investigate everything to balance the cost, especially the fare to visit the famous places in Da Lat. 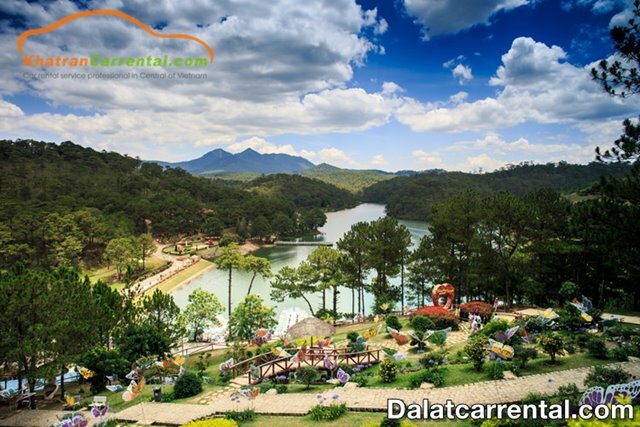 In this article, Dalat Car Rental would introduce the ticket price to visit Da Lat latest 2019 for you. What is in Da Lat? Any unforgettable experiences? Bao Loc Dambri Waterfall Resort: 180.000VND/adult, 100.000VND/child, (reduced to 140.000VND per adult). This 180,000 VND will include the following services: entrance tickets, lift tickets, Alpine Coaster ride tickets and other games. Prenn Waterfall Resort: 40.000VND/adult, 20.000VNĐ/children. Riding elephants in 15 minutes 300.000VNĐ/2 guests – Group: reduced 20% on the number. Datanla Waterfall Resort: 30.000VND/adult and 15.000VNĐ/children. Sliding ticket 60.000VND/adult and 30.000VNĐ/children round. One way VND 50.000/adult and VND 25.000/child. If the sliding 3km slide was opened is 150.000VNĐ/person – The delegation reduced 10% on the number. 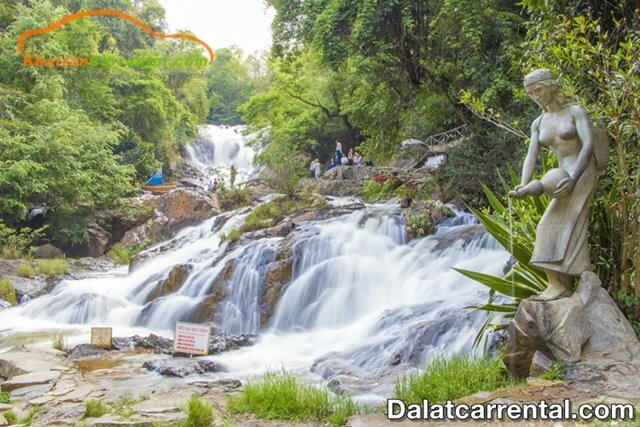 Voi Waterfall – Nam Ban Town – Lam Ha Province: 20.000VND/adult, 10.000VNĐ/children. Tiger Cave Beach Resort – Da Lat: 10.000VNĐ/adult. Free for children and car. Area XQ: 100.000VNĐ/adult, 150.000VNĐ/person – with explanation, children are free to visit. There is a free sightseeing area. Crazy house: 50.000VNĐ/adult, 20.000VNĐ/1m2 – 1m4 – the delegation reduced 10% on the number. Than Tho Lake Tourist Area: 20.000 VND/adult, 10.000 VND/children. You can also visit the nearby two graves for free. Camly Waterfall Tourist Area: 20.000 VND/person, 10.000 VND/child. You should visit the Camly Falls in the rainy season because of abundant water, dry season should not go because of water and pollution. Bao Dai Palace Resort: (Palace 3) 15.000 VND/adult. Children over 1m2 charge adult, lower price is free admission. If visiting Palace 1, the fare is 30.000 VND/person. Lang Biang Mountain Resort: 30.000 VND/adult, 15.000 VNĐ/children. Jeep ride back to Langbiang peak: 60.000 VND/round trip. Valley of Love: 100.000 VND/adult, 50.000 VND/child including entrance ticket, boat ride or duck riding, tram. 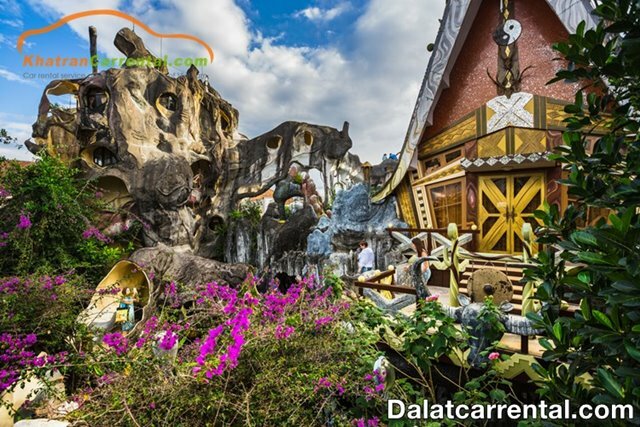 Da Lat flower garden tourist area: 40.000 VND/adult, 20.000 VND/children. Truc Lam Meditation Center round trip: 80.000 VND/adult, 1 way: 60.000 VND/adult. Golden Valley Resort: 50.000 VND/adult, 20.000 VND/child. 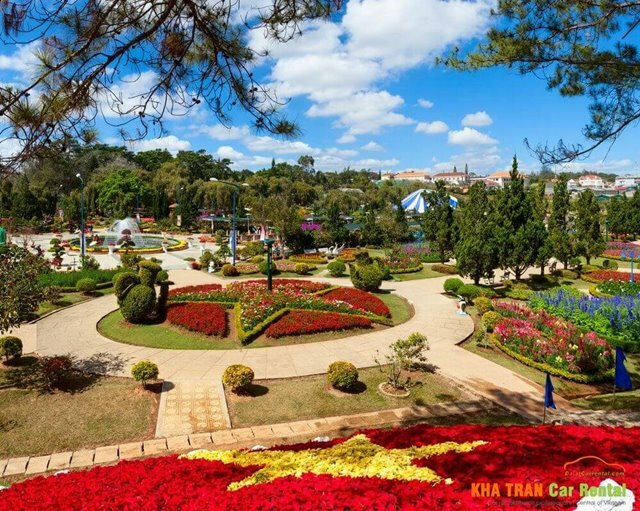 Da Lat flower garden tourist area: 40.000 VND/adult, 20.000 VND/child. Lam Dong – Nguyen Huu Hao Palace: 10.000 VND/adult. Children are free. Tran Le Xuan Residential Area – National Archives Center IV: 15.000 VND/adult, children are free. Bidoup – Nui Ba National Park in Lac Duong district, 60km from Da Lat city on provincial road 723. Ticket price: 20.000 VND/person and 10.000 VND/children. Tay Nguyen Museum of Biology: 15.000 VND/adult, children are free – students, students reduce 20%. Tourist Area Tunnel sculpture – Da Lat Star Clay Tunnel: 60.000 VND/adult, children 30.000 VND/children. Ma Rung Forest Resort (Ma Rung Inn) – The price you pay yourself to the wooden barrel in front. Price 10.000 VND/adult. Students, elders, free children visit. Zoodoo zoo: Admission fee 100.000VNĐ adults, children from 90cm to 1m2 calculated 50.000 VND, less than 90cm free. Secret Garden: 50.000 VND/adults, children: free, 500m from the tunnel, in the same direction with the tunnel – before here and then to the clay after (difficult to turn) – delegation reduced 10% on the number. Hoa Son Dien Trang: 30.000 VND/adult and 15.000 VND/children, free for children under 1m. 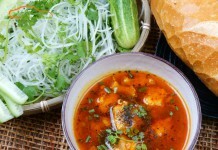 Le Phong tourist area: 50.000 VND/adult, 35.000 VND/child. 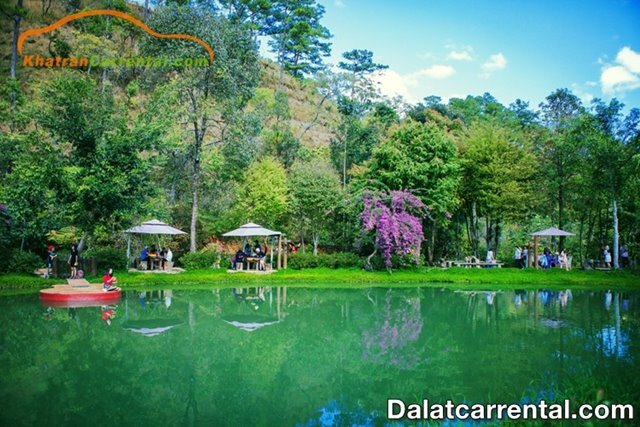 Hopefully with Da Lat 2019 price list, this will help you get a perfect trip to Da Lat. 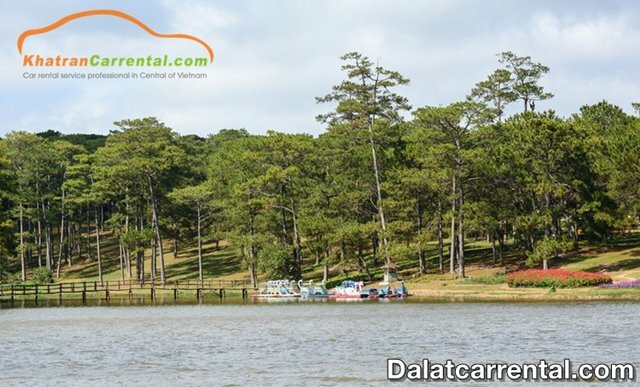 If you need to rent a car to Da Lat cheap, please contact Kha Tran – specializing in car rental from 4 to 45 seats to serve caring, caring, safe driving. If you have any questions please contact (+84) 91 509 02 01 and (+84) 91 651 02 01 (Mrs Katharine) for advice and support!